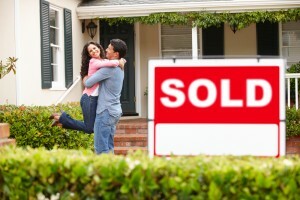 Thinking of selling your Orlando area home? Let The Property Shop help. Selling a home can be stressful. It is probably one of the largest financial and emotional decisions you will make in a lifetime. You want to choose a real estate company that can help turn this into a stress-free transaction. A Realtor® will make the process much easier from pricing your home, to drafting complex paperwork; we will work hard to make the process much easier. As Real Estate Professionals with knowledge and experience in the Central Florida market, The Property Shop is able to assess the market value of your home. ABSOLUTELY NO OBLIGATION THIS IS A TOTALLY FREE SERVICE! Please complete and submit the following Online Home Analysis form. The more information given, the more accurate the evaluation. All information you provide is secure and will be kept strictly confidential. Trimming hedges and trees and cleaning the windows helps. If your home looks unkempt from the outside, buyers will be more critical about what they see on the inside. Aroma plays a subtle but important role in a buyer’s decision. Air fresheners, candles and diffusers can do the trick. Your home will smell great and be more enticing to buyers. Once you are ready to put it up for sale, or if you have questions, please contact us. We’re happy to assist you at every step of the process.